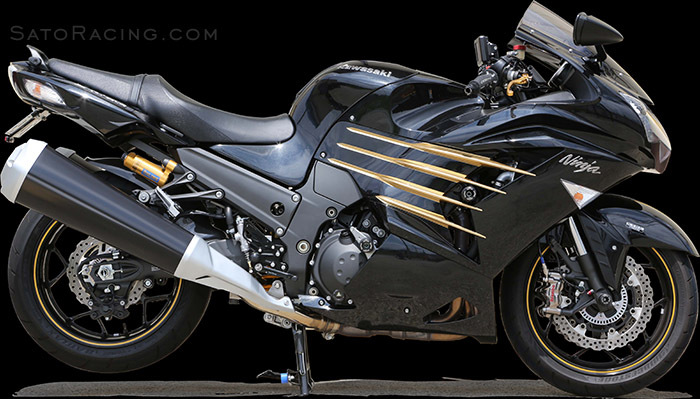 SATO RACING Rear Sets for 2012 and up ZX-14R (ZZR1400) are made from high grade billet aluminum anodized in your choice of all Black, or Silver or Gold finish with contrasting Black base plates. 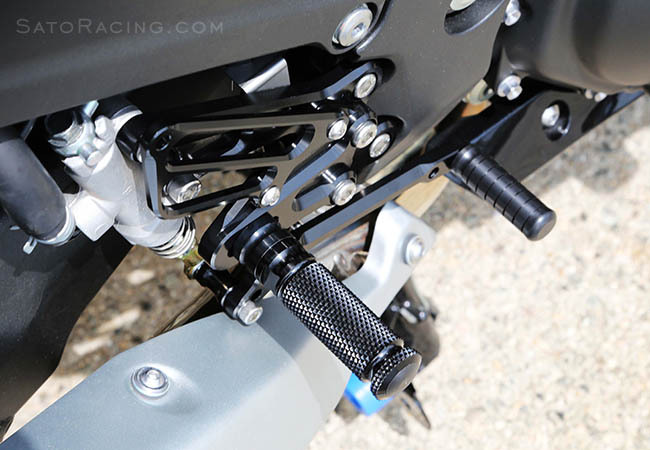 Compatible with both ABS-equipped and non-ABS models of ZX-14R. Provides 9 adjustable positions in a range that puts your feet higher and further back compared to stock, giving you a sportier, more agressive riding position well suited for spirited riding. 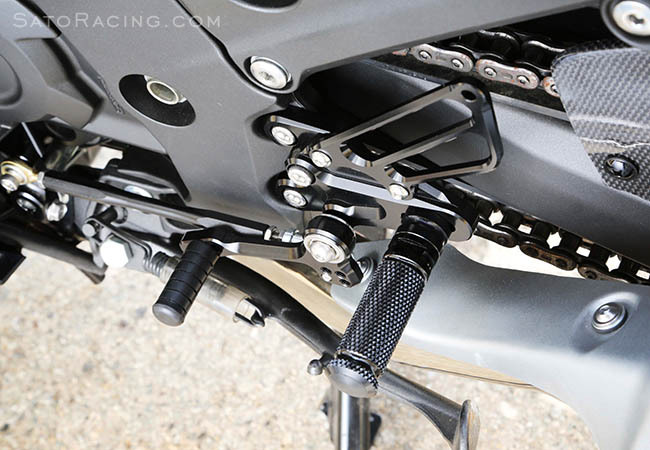 A Reverse Shift version of these Rear Sets is also available, for riders who prefer a GP-style reverse shifting pattern. 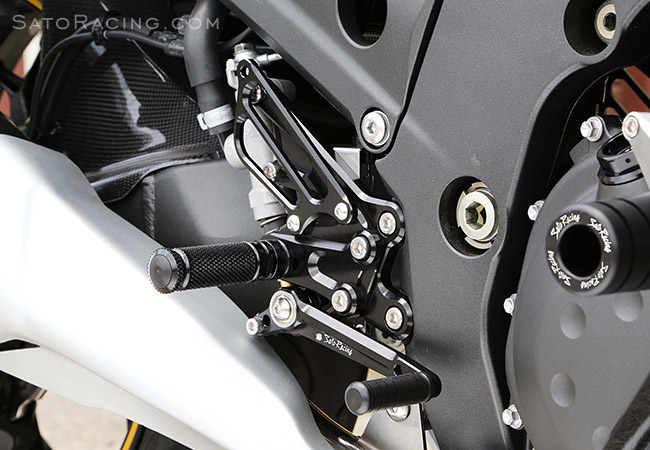 Our Foot Pegs feature a finely knurled grip pattern with excellent non-slip characteristics. pedal tip let you fine-tune the shift pedal feel. 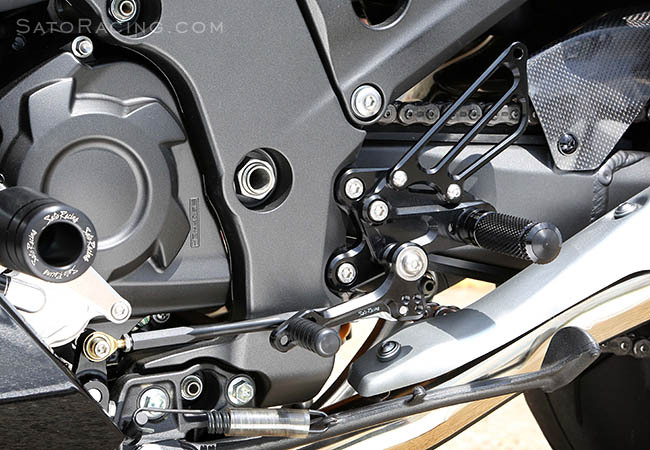 high-mount full exhaust systems, due to possible interference with rear brake.